November 2018 - Hairlicious Inc. Without a doubt, braid outs are easily my favourite low manipulation style! 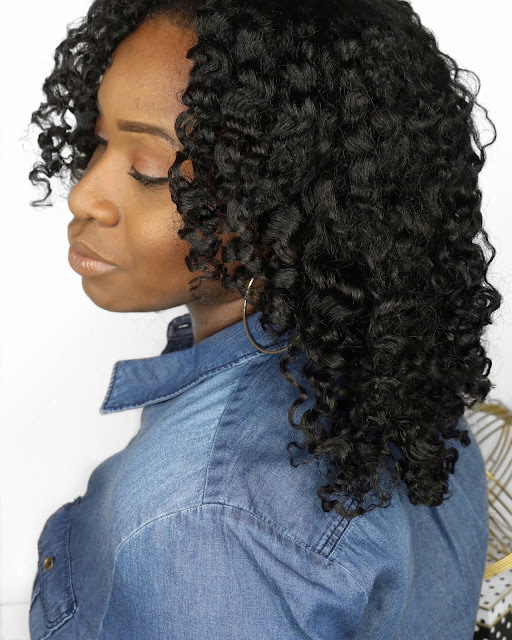 Braid outs give me beautiful waves, poppin' curls and luscious texture allowing me to wear my hair down without the use of heat! For the past year, I've been experimenting with products that would give me the most definition, moisture and hold when wearing a braid out and I believe I've found them! The Creme of Nature Argan Oil Product line. The Creme of Nature Argan Oil Leave-in, Foaming Wrap Lotion and Gloss & Shine Mist have given and continue to give awesome results! I swear people think my hair is natural when I rock this look - I can't deny it's a great illusion :). 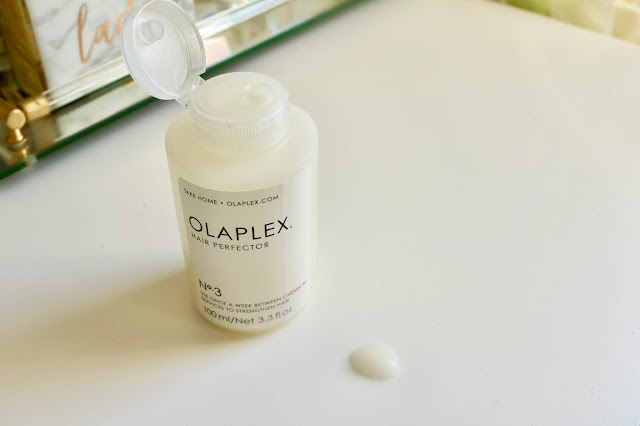 The Leave-in Hair Milk (which has the exact same ingredients as the Buttermilk Hair Milk Leave-in) provides slip and moisture instantly as you apply it. It's protein-free and works great on both wet/damp or dry hair. The slip aids in detangling, smoothing and improving manageability in my hair. 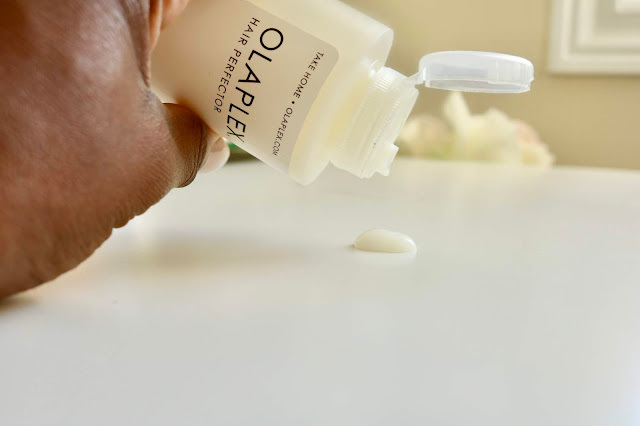 This leave-in lotion has a thick yet creamy consistency which provides the right amount of moisture to prep for my braid outs preventing it from drying out. It doesn't weigh my hair down either allowing my braid outs to look full with movement. 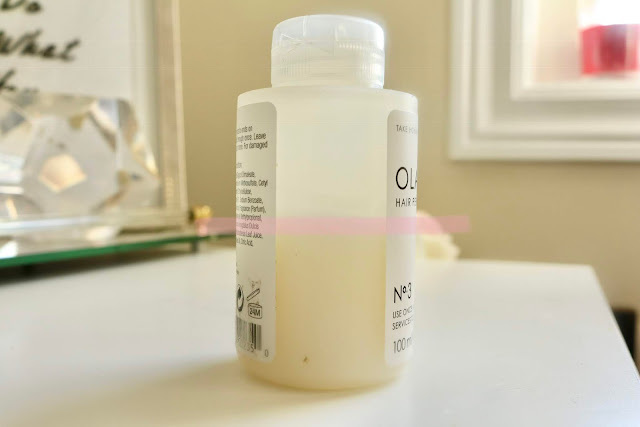 The Foam Lotion, the glue that keeps the style for 3+ days, is so moisturizing! It contains Olive oil, Honey and Aloe to hydrate and soften the hair while providing lasting hold. I just use one pump per braid as it easily spreads throughout the hair. It doesn't leave my hair sticky or tacky either. It's a gem! The Gloss & Shine Mist is a light finishing product that really imparts shine into my hair completing the overall look. I love the smell and the conditioning it provides. It's light weight so it doesn't weigh my hair down. I spray my braids prior to unraveling to prevent frizz. The process of separating and fluffing each section can cause frizz and flyaways - if you're not careful! The Gloss & Shine Mist stops frizz in its tracks during the separating and fluffing process. It works like a charm! When using these 3 products together, I've consistently received great results! 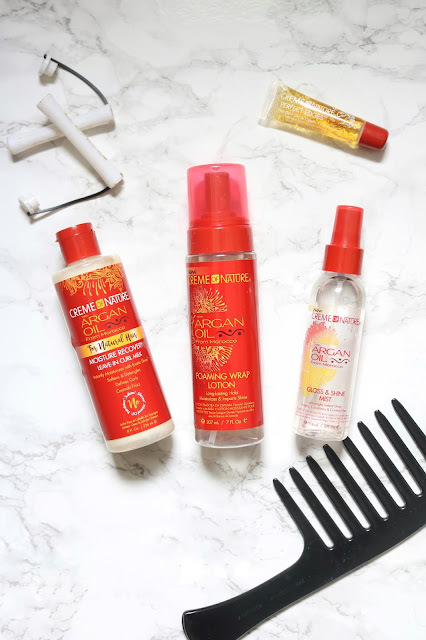 It's the worst having a dry undefined braid out but these products all work well together imparting moisture, definition, hold and shine into my relaxed hair! Do you have your staple products for Braid outs? If so, what are they? I thought a topic like this would be fun and different to do, especially hair related. Though I have some super loyal supporters that have been around since day 1, you probably don't know some of the facts I'm about to share. 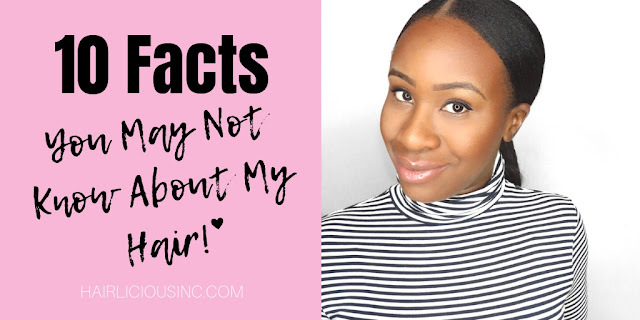 With that said, I thought this would be an interesting way for me to share a few facts for others to gain a little insight about my hair. I have very coarse normal-to-high porosity 4b/c hair type. Breaking combs and blow dryer comb attachments, while growing up natural, was a VERY common thing for my hair. My hair dresser relaxed my hair at the tender age of 12, in grade 6. I rocked jheri curls, pressed hair, relaxed hair, braids, wigs, weave all BEFORE the age of 25. Relaxing and installing box braids in my hair - all in the SAME DAY - was a normal thing for me back in elementary school! The shortest my hair has ever been was ear length - after a bad weave! I started my hair journey TWICE - once in 2006 and then I quickly gave up 3 months later and went back to lace front wigs. I tried again in October 2007 and never looked back. My hair is natural black (1b) colour. I've never dyed, bleached or highlighted my hair. I get single strand knots even though I'm relaxed. January 2019 will mark 10 years since I've been exclusively using ORS Olive Oil relaxer in my hair! It's more than a staple, it's tradition!